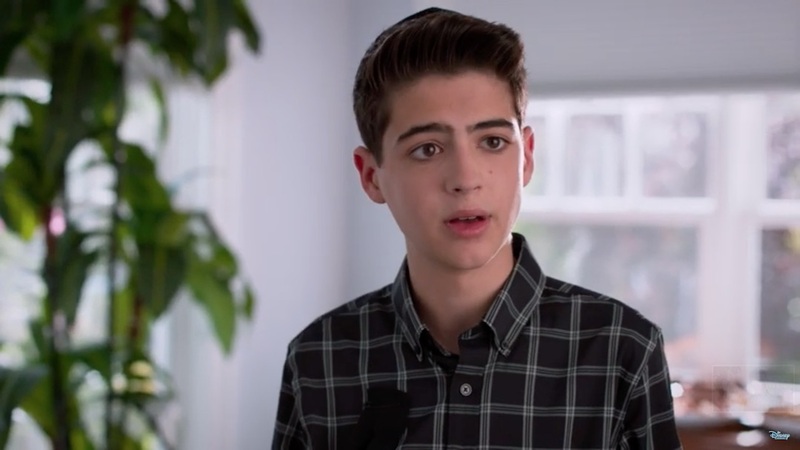 The scene was was inspired, in part, by the coming out experience of one of the show’s writers. “And I’m gay,” he says. Hurwitz went on to work with the rest of the writers, Minksy, and Disney Channel executives and consultants to write the scenes. In the past, the show has also collaborated with GLAAD and others in ensuring Goodman’s storyline is handled properly. “In the writers’ room, I shared a personal story about how nervous I was to come out to a college friend back in 2010,” Hurwitz wrote. “While grabbing burgers one afternoon, he asked me to pass the ketchup, so I handed him the bottle while mumbling the words ‘I’m gay.’ He looked up at me, said ‘Cool,’ then proceeded to put ketchup on his burger as if I hadn’t just revealed my most personal, deepest truth.” In the scene from the show, shock registers on the face of both Goodman and his friends as the surprising ease of such of a revelation settled in.